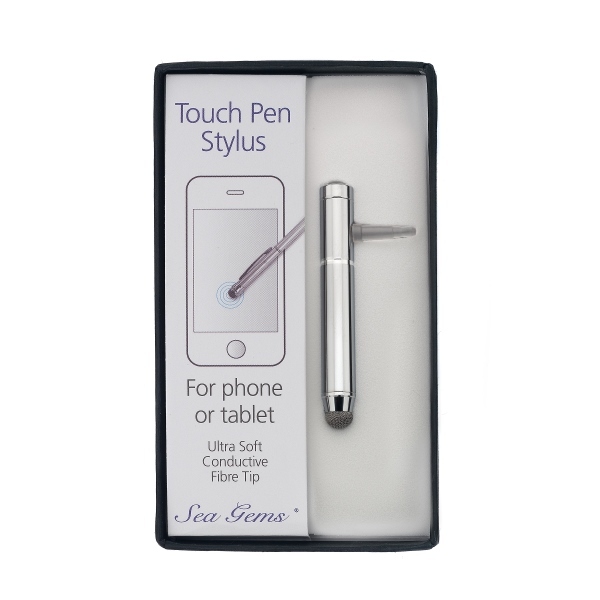 Engraved Chrome Touch Pen Stylus for a phone or tablet. The engraving will be on the bottom half of the stylus, please limit your engraving to a name or a maximum of 2 or 3 words. The stylus has an ultra soft conductive fibre tip and also acts as a stand that plugs into your earphone port on your phone or tablet.